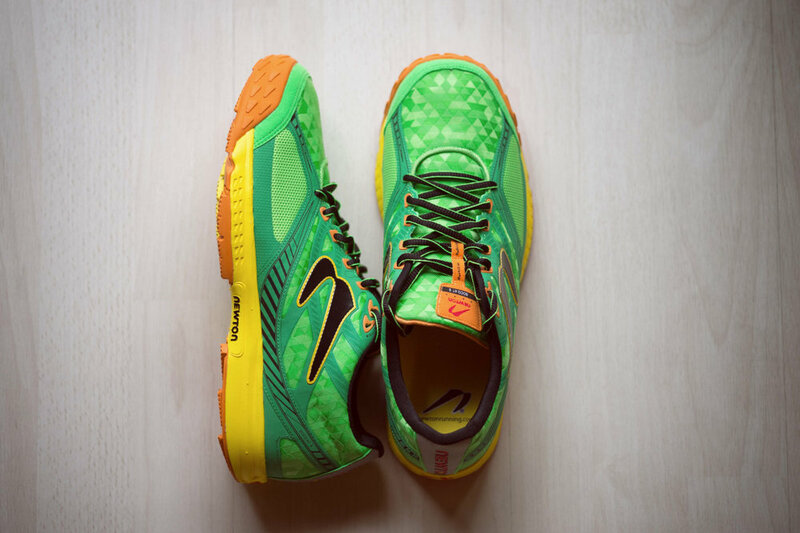 Boco AT II are Newtons trail/winter shoe, featuring water resistance for those rainy runs and a tougher, grippier sole. Boulder Colorado sounds much nicer than Birmingham England, but, they get their fair share of miserable wet, cold weather too, so I’m looking forward to see if they live up to their claims. Unmistakably Newton with a hint of trail running. I’m not sure I agree with the water-resistant statement, the first time I ran trough a tiny, shallow, feeble little puddle, a thimble full of muddy water splashed onto the top of the toe box and instantly soaked through to my toes. Unlike the On Winter edition shoes which are amazingly water proof! 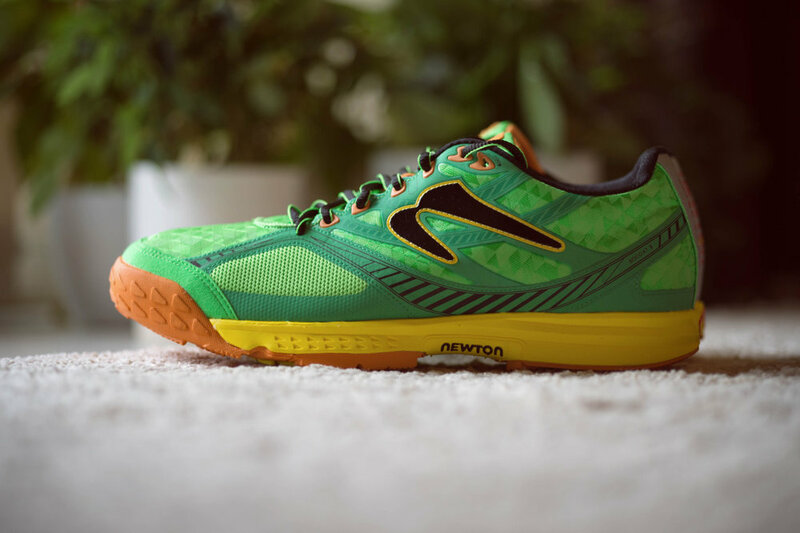 As with all modern Newtons, they come with 4 lugs on the mid foot, its the lugs that raise the mid foot, allowing a thicker heel, while still maintaining a 3mm heel drop. There are also an additional two outer lugs, this makes for a very stable platform with plenty of grip. On wet tarmac though, they are still quite slippery though. 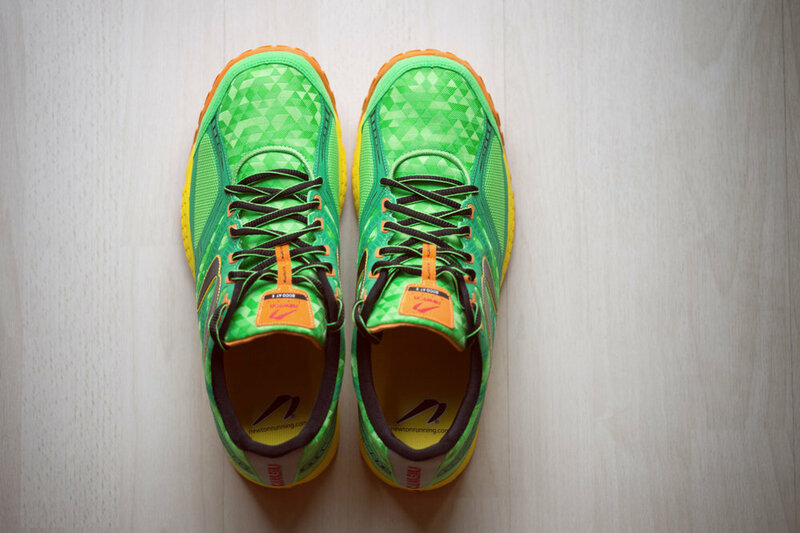 Nowhere as bad as the 2016 Newton Distance and way way better than the On Winter addition! The On are lethal when it rains. 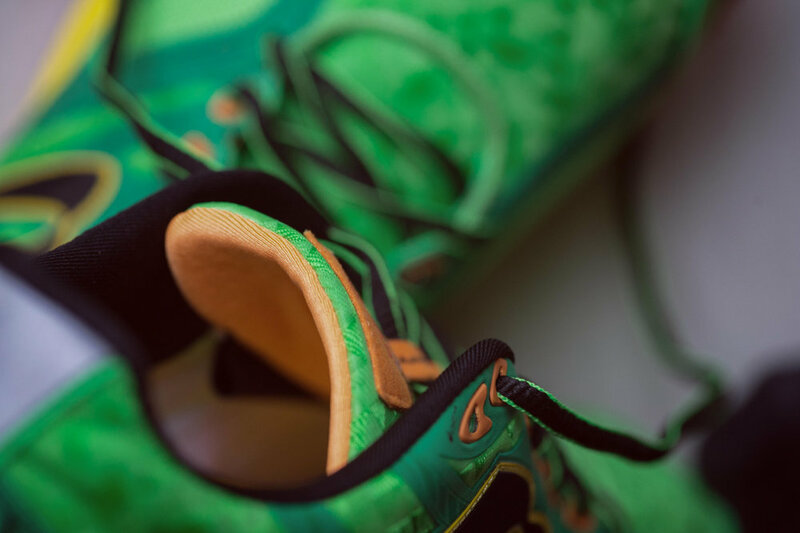 To make the shoes more weather proof, the tongue has two gussets up the sides, connecting the tongue at the base and both sides, rather than just at the base. 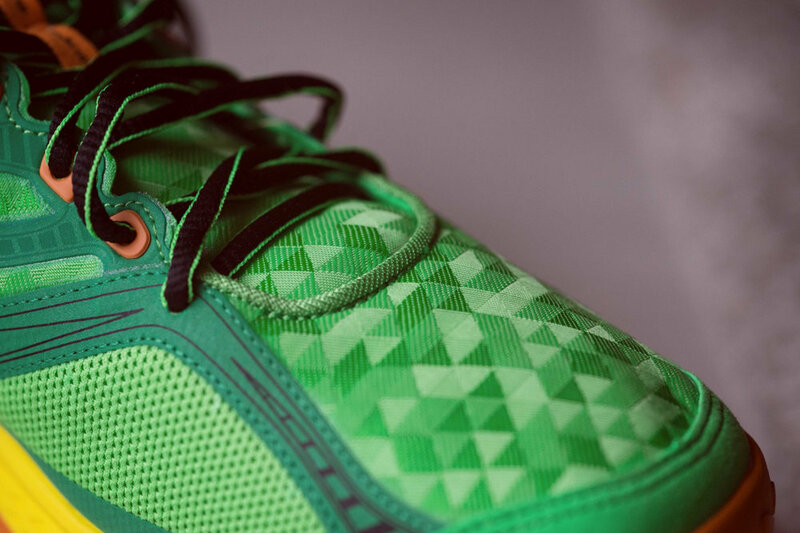 Unlike the standard Newton shoes, the tongue is padded, this makes them a little warmer. 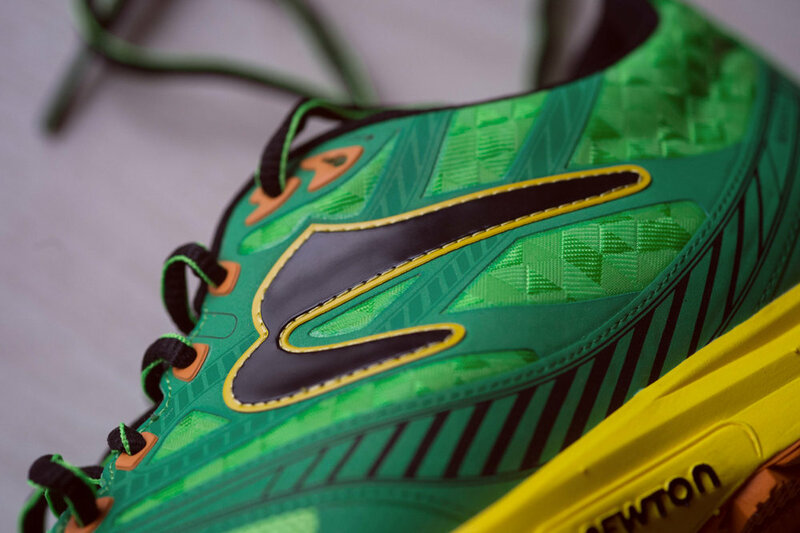 If you have run in Newtons, then you will instantly feel at home in these shoes. As mentioned earlier, the extra outer lugs do seem make them feel more stable under foot. At the time of writing this review, I have ran around 70 miles in these shoes. They feel great, they are nice and light and very comfortable. They do keep your feet dryer, just don’t expect them to be water proof. 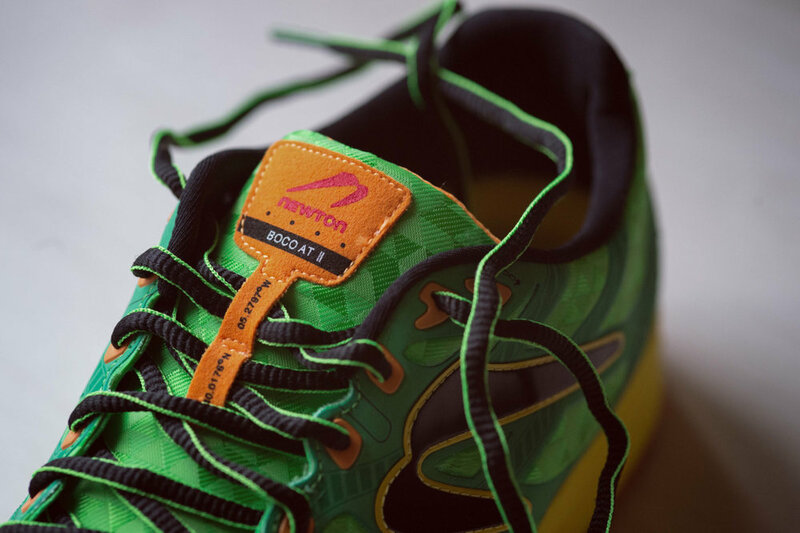 The sizing is around half a size bigger than the standard Newtons, which leaves room for some thicker winter socks. I had considered buying a half size bigger than my regular shoe, but I’m pleased I didn’t.